SpeedScraps: It's here! 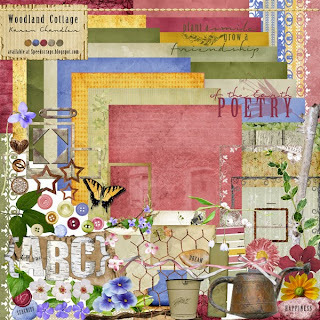 Woodland Cottage Collection - Freebie! It's here! 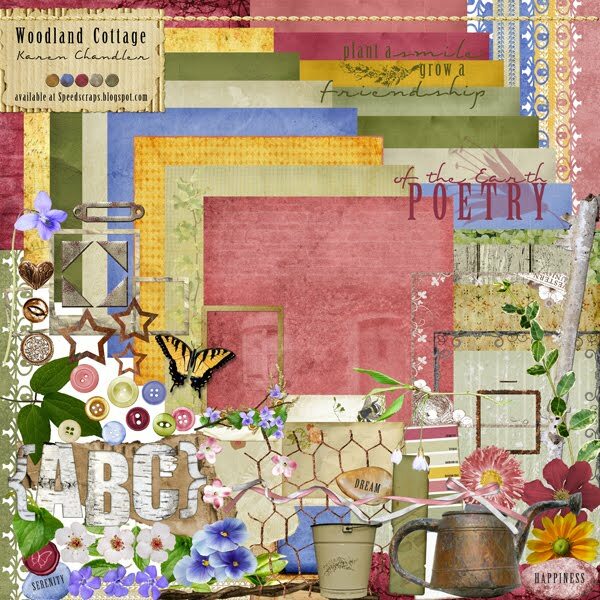 Woodland Cottage Collection - Freebie! A great big HUGE thank you to everyone who has joined us on facebook this past week and especially to those who were so diligent in promoting us to your friends! I am so grateful for each one of you and blessed to call you friends! So, here is what you have been waiting for!! Karen Chandler's fantastic, beautiful, awesome, HUGE, Woodland Cottage Collection! If you make something with the collection, please post it to our facebook page so we can ooh and ahh over it. Thank you Christy! It's a beautiful kit Karen! Thank you both so much! Thank you Christy and Karen! You ladies are just FAB! Wonderful and fun kit Karen! I will be posting my layouts soon! TY! Thanks so much Karen and Christy! What a lovely kit. What a treat! Thanks, Christy and Karen! Thank you both for a beautiful kit. thank you so much for the kit. Thank You so much for the kit! Its absolutely beautiful and I can't wait to use it! Karen you did a great job and all I can say is keep creating!!! Big hugs all around - many thanks! oh my goodness! What a gorgeous kit! Thank you so much! Great kit!! Thanks so much for sharing it with everyone! Beautiful Collection! Thanks so much! Thank You Karen! Cyber HUGS headed your way!!!! Thank you both for this beautiful kit. The colours are gorgeous. Absolutely gorgeous --- thank you so much Karen & Christy! it's so beautiful! amazing job, i envy you for our talent! Thank you so much for this post. I want to let you know that I posted a link to your blog in CBH Digital Scrapbooking Freebies, under the Page 6 post on Jun. 23, 2010. Thanks again. Thanks for this beautiful kit. The preview is fantastic, with its beautiful colors, various papers with textures and patterns, and all and all elements that give credence to your design. Karen you have created a design kit to cherish and to scrap wonderful photos. Christy I am a member of scrap girls, and RosemaryS was so kind as to give me your blog information about the scripts. They are awesome in their design. I am on a fixed income, but I will give a small donation next month, and hopefully in future months to come. Love and blessings to you and yours. HUGS! This is a beautiful kit. Thank you so much for sharing with us. Very nice kit. I particularly like the torn paper border and the lacy borders. Christy and Karen, this is an absolutely gorgeous kit and I can't wait to use it! Thank you for sharing with us. I'm loving SpeedScraps! Thank you so much for sharing this beautiful collection with us! Thank you, Karen and Christy, for creating and sharing this fantastic collection. It is just beautiful and I can't wait to play with it. Thanks for sharing this lovely kit! Beautiful! I've loved the little "teasers" you gave us while we waited for the magic "300"...so cute! Thank you both for sharing your talents! Beautiful kit! Thank you very much. This is a wonderful kit! Thank you so much for sharing it Blessings! Just ran across this! Amazing. Thank you. What a wonderful and generous freebie! Thank you so much.